On April 12, 2019 with saddened hearts, we said goodbye to our beloved Raymond, age 74, where he entered the gates of Heaven surrounded by his loving family at the Cape Breton Regional Hospital. 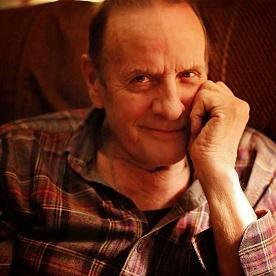 Raymond is survived by his loving wife and soul mate of 55 years, Lynn (O’Neill); his cherished children, daughters, Laura (Russ) Baker- Warren, Amy Baker, and his son, Joey Baker; his grandchildren, who were his pride and joy, Kyle Raymond, Kyra Lynn, and Nova Grace; his special furry companion, Sir Angus; his sister, Ann Marie (Rod) Fraser; brother, Gussie (Lois) Baker. He is predeceased by his mother, Doris Baker; his brother, Craig and sister-in-law, Deloris Baker. Raymond was known for his athletic achievements in both hockey and baseball and was recently inducted into New Waterford’s Sports Hall of Fame. Raymond loved the outdoors and he and Lynn spent their time travelling Cape Breton Island exploring the many hidden beaches, fishing, sightseeing and enjoying nature. They seized all opportunities to celebrate life each and every day. Raymond worked as a coal miner for 38 years and was well respected for the dedicated, hardworking man he was. He shared many stories of the mines and the bonds he shared with his fellow miners. Raymond spent his life showering his family with love and kindness and will be forever remembered as the gentle giant he was. His soft voice and kind ways touched the lives of all who were lucky enough to have met him. We would like to extend a heartfelt thanks to the staffing, nurses, and doctors in the ER Department and the ICU unit of the Cape Breton Regional Hospital for their kindness shown to Raymond and his family during this time and a very special thank you to Dr. Murdock Smith for your kindness and support. Cremation has taken place under the care and direction of V.J. McGillivray Funeral Home, 380 Smith Street, New Waterford. At Raymond’s request there will be no visitation or funeral. His wishes were to come home with his family. Instead, we will be holding a celebration of life at the Cedars Club, 30 MacKenzie St., Sydney, from 3 p.m. – 10 p.m. on Friday, April 19, 2019 enjoying Raymond’s favourite things; food, country music, and friends. Although you are gone from the physical world, we know you will always be here beside us.